Staff were very helpful, location was amazing, apartment was nice. The closeness to the ski slopes and shops and restaurants. The room and the facilities. 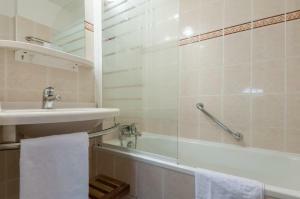 Friendly staff, excellent value, superb location, good facilities nearby, comfortable, good elevators, clean. Not strictly ski in ski out, but a short walk - c. 100m through concrete precinct past ski shops and supermarket to the lifts. Once at the lifts access to the whole 3valleys is superb. Location is great, right on the pistes and next to restaurants, supermarket, etc. Indoor parking is available onsite. Extremely central for ski lifts, ski hire, restaurants, cafes, parking. Friendly staff who were approachable and able to deal with any questions efficiently. Fantastic location, 2 minute walk to the supermarket, ski slope and local shops. Secure car parking offered at €30 for a week which seemed reasonable. As far as value for money goes, the hotel is excellent. 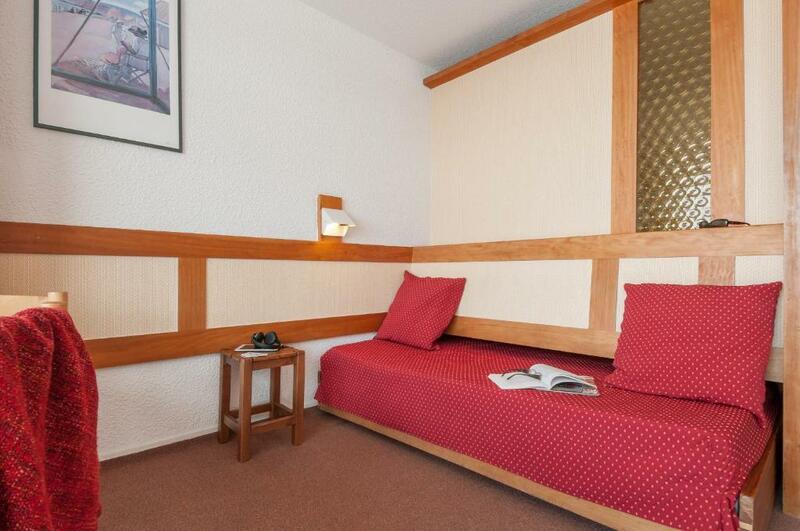 Well placed and lower cost than a lot of other choices in Mottaret. Location right next to the ski lifts. Nice warm apartment. Helpful staff. Free parking nearby. Plenty of hot water. Lock in a great price for Résidence Pierre & Vacances Les Bleuets – rated 8.1 by recent guests! 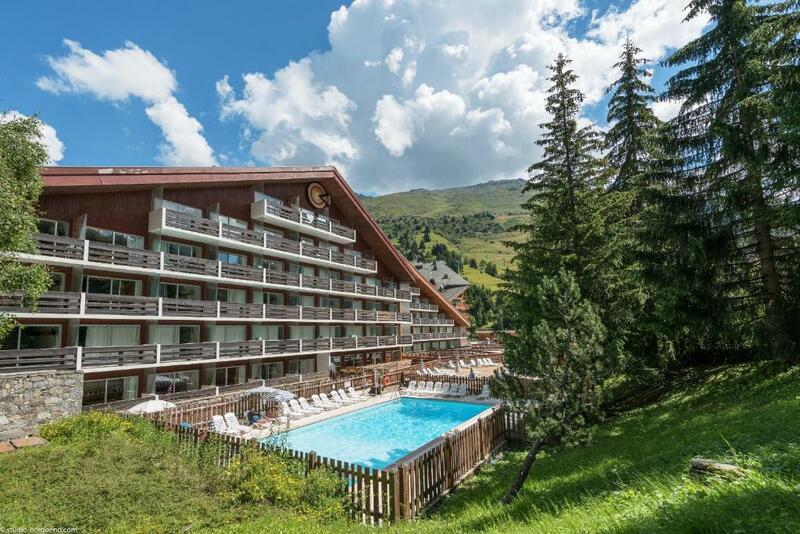 Located in the heart of the 3 Valleys ski resort, this residence is just 350 feet from Méribel’s ski elevators. 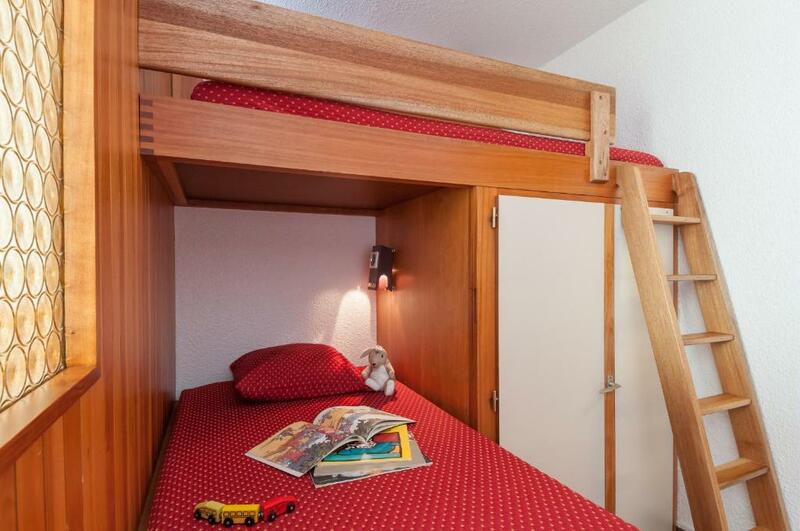 With ski-to-door access, you can use the residence’s ski storage facilities. Combining a modern and a traditional chalet-style, the studios at Résidence Pierre & Vacances Les Bleuets have a private balcony. There is also a TV with national and international channels in the living area. There is a shopping delivery service available at an additional cost. 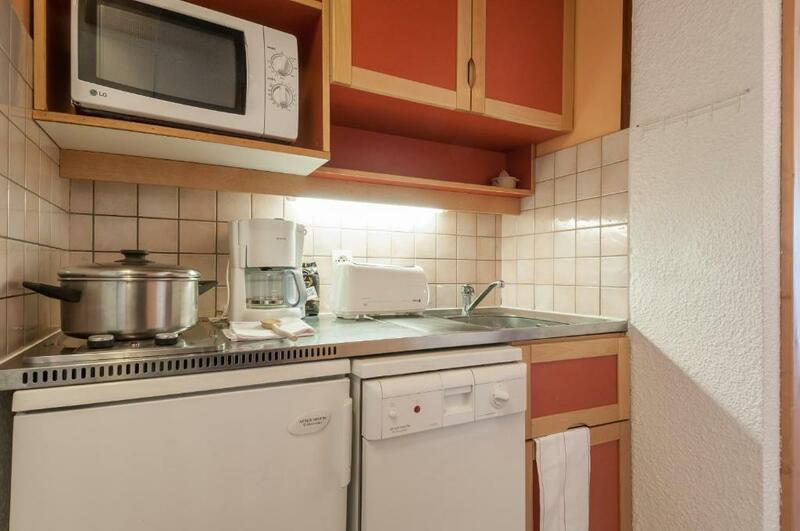 The studios also have a dishwasher, a vacuum and a dining area, which has views of the surrounding mountains. Moutiers SNCF Train Station is 11 mi away. Additional facilities include a selection of board games and books, and table tennis. Summer activities include hiking and cycling. Meribel-Mottaret is a great choice for travelers interested in nature, winter sports and downhill skiing. 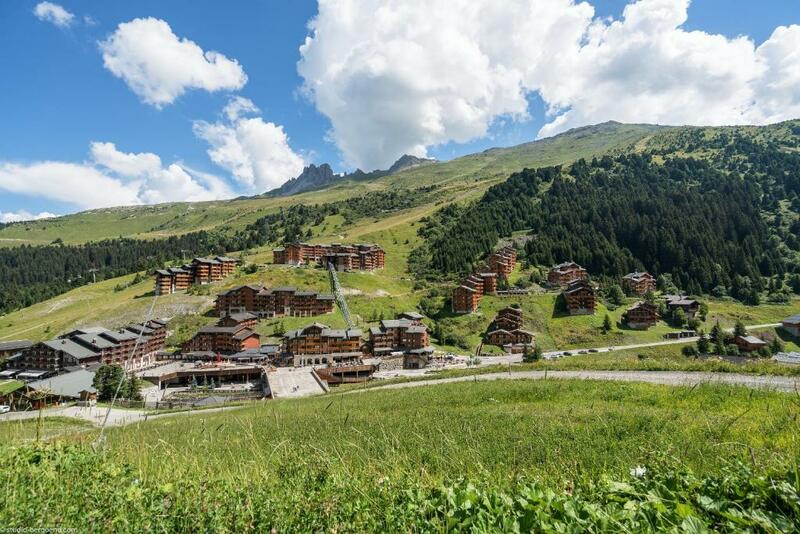 This property also has one of the top-rated locations in Méribel! Guests are happier about it compared to other properties in the area. When would you like to stay at Résidence Pierre & Vacances Les Bleuets? 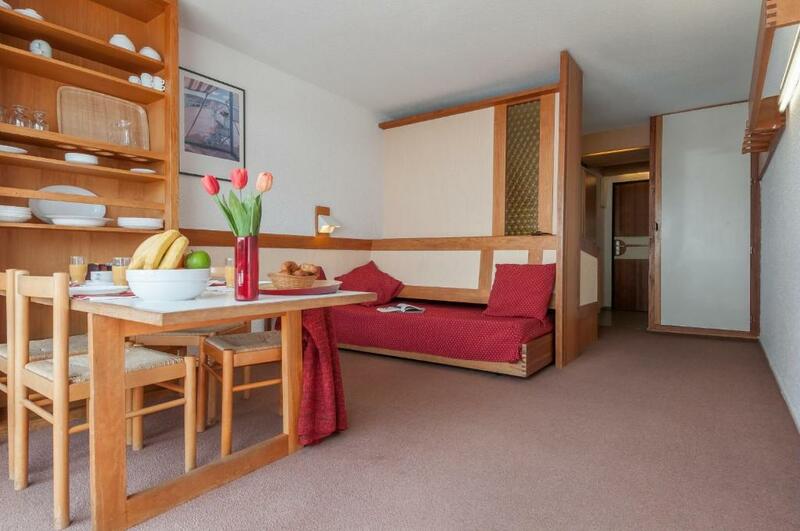 This south-facing studio has a kitchenette and a TV with national and international channels. Cleaning equipment includes a vacuum. 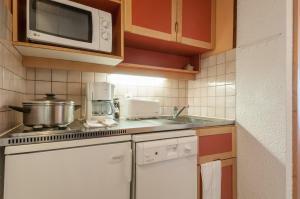 This studio has a kitchenette and a TV with national and international channels. Cleaning equipment includes a vacuum. This studio features a balcony, dishwasher and dining area. This studio has a balcony, microwave and kitchenware. This studio has a balcony, dishwasher and satellite TV. This studio features a balcony, kitchenware and kitchenette. By the sea or in the mountains, in France and Spain, Maeva residences offer functional and equipped apartments in a friendly atmosphere for all budgets. Conveniently located residences to discover the region. House Rules Résidence Pierre & Vacances Les Bleuets takes special requests – add in the next step! A EUR200 damage deposit is required 0 days before arrival (about USD224.14). This deposit will be fully refunded 0 days after check-out, as long as there isn't any damage to the property. Résidence Pierre &amp; Vacances Les Bleuets accepts these cards and reserves the right to temporarily hold an amount prior to arrival. Résidence Pierre & Vacances Les Bleuets accepts these cards and reserves the right to temporarily hold an amount prior to arrival. In case the total amount of the reservation is not paid in the timeframe set in the policies, the property reserves the right to cancel the reservation and apply cancellation fees. - Everyday: 09:00 to 12:00 and 17:00 to 19:00. For stays of 1 week, keys will be handed over at 17:00 on your day of arrival. They must be returned at 10:00 on your day of departure. A baby kit, suitable for children under 2 years weighing less than 15 kg can be requested at an extra charge. The kit includes: 1 cot and 1 high chair. Subject to availability. Please note that any modification may incur a fee. Credit card is the only accepted method of payment. If you plan to arrive after 18:00, please contact the residence for information on how to get the keys. A damage deposit of EUR 200 is required. That's about 224.14USD. You should be reimbursed on check-out. Noises neighbors and due to location noise from outside but probably unavoidable. The Ski room/locker was chaos from 08.45 - 9.15am every morning, needs more room. The loud noise from people outside who come out of the bars all through the night. Cooking facilities are poor, two ceramic rings and a microwave. View from South facing apartments is somewhat obscured by the trees and fence alongside the beginner piste. Having to hire a kettle. Also bedding and linen should be in the room and not having to fetch ourselves on arrival. Noise from the people on the alley bellow windows returning after parties in the nights. Nothing...at the end of the day you get what you pay for, if you want upmarket with all the mod-cons this isn't the place for you, if you want somewhere to put your bags and sleep for the night with basic equipment this is just fine. Location, free car parking and etc. Guys, pls invest a few hundreds of eur to motion detectors in corridors. It is weird to look for the push button in dark corridor to get the lights on. Paying a premium for south facing rooms to the slopes would be fair, if you had a view of them. Twice we have stayed here now and booked one (more because all the north ones were gone). Both times we are in a low floor and your view is just a frozen swimming pool and sloped bank. This cost surplus should really be removed for the lower two or three floors, as you are not really getting what you pay for. Our apartment was at the end of the building above an alley way, at night it was very noisy with people returning from clubs and bars. Some nights I was awoken at 1am, 2am, 3am, and 4am. The people tended to congregate in the area and chat until the early hours of the morning.